Up for review today is an unusual size of the legendary Davidoff Millennium Blend. Although the Millennium Blend was originally released in its current form in 2001, the Short Robusto wasn’t released until later in 2006. Anyone who knows me knows I love Davidoff cigars for their consistency, complexity, and elegance. Let’s find out if this vitola lives up to the incredible experience of its more standard sizes. 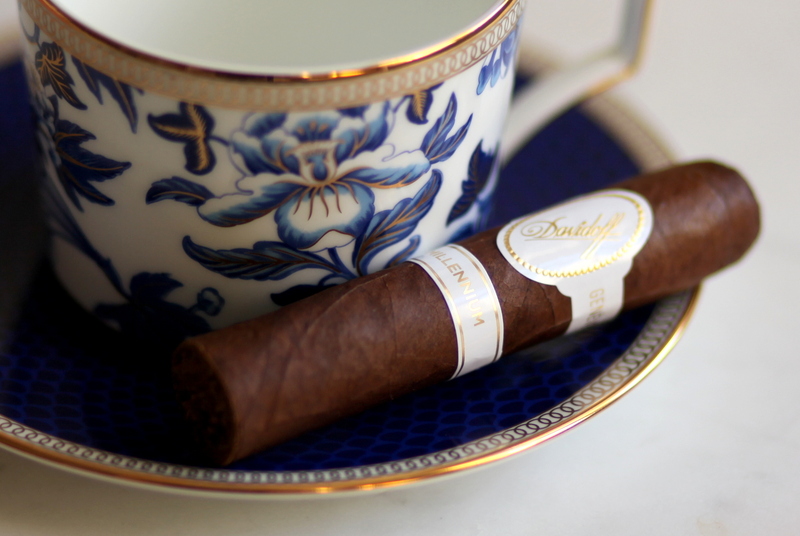 The Davidoff Millennium Short Robusto is an attractive cigar, with its traditional Davidoff top band along with a secondary band bearing the blend’s name. The Ecuadorian wrapper is a dark oak color, which smells faintly of spice, earth, and cedar. The cigar has a bit of give when squeezed, and seems to have been packed consistently. The aroma off of the foot of the cigar is earthy, cool, and sweet, along with a good dose of spiciness. The pre light draw is much stronger, with tastes of raisins, cocoa powder, and spice. This gets me excited to light up. The Short Robusto kicks off with a very aromatic profile, meaning most of the character is sensed in the smell of the smoke. The first few puffs are quite mild and contain a balance of sweet grass, oak, touches of pepper, and a bit of vanilla. That mildness doesn’t last long, though. About a quarter inch in, black pepper begins asserting itself on the retrohale and the tip of the tongue. In addition, that round oak flavor from the beginning sharpens into a drier cedar note. The texture of the smoke is unique in that it is at once spicy but also very fine and smooth. By half an inch in, this cigar has already demonstrated more complexity and movement than many cigars in the $10 range. Very impressive. The power builds up to the end of the first third, and the original ash (a smooth salt and pepper color) is holds strong. In the second third, the smoke is so rich and complex it’s hard to know where to begin describing it. On the sweeter side, there are flavors of chocolate powder and earth while the bitter end has notes of leather, peppercorn, cedar, and spice. The retrohale, on the other hand, moves from hot spice to a much milder, finely ground white pepper. Strength at halfway is medium full. The final third ramps up flavor and body even more, with a rich, steak like vibe. More savory than bitter, with the sweetness still calling from the back seat. The texture of the smoke is still smooth, with a bit of roughness around the edges, complementing the woodiness that still asserts itself. What can I say? The Millennium blend is a powerhouse full of flavor and finesse. Every time is smoke it I am transported into an epic tale of flavor and movement. It’s an experience that feels a bit like my most memorable scotch experiences. 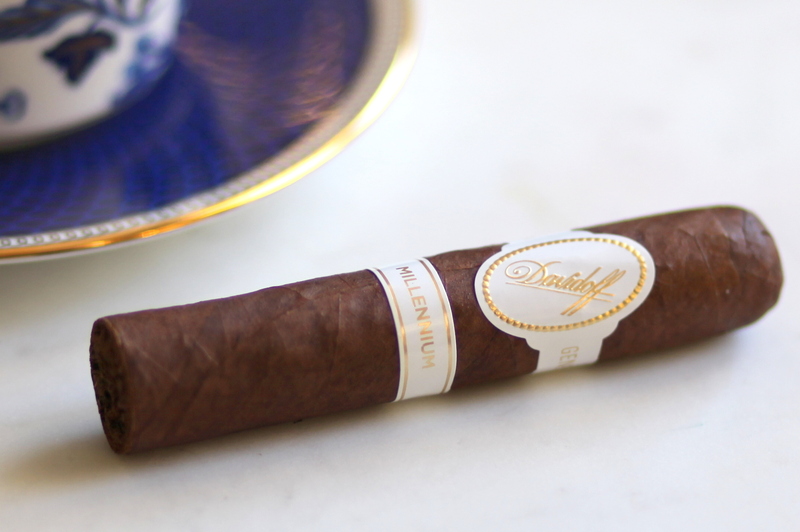 It’s true, just like every other Davidoff cigar, the Millennium Blend is at the upper tier of the price range. It is absolutely worth the price. Buy one, buy five, buy a box if you can afford it. You won’t regret it.